I'm using "A field guide to Australian Fungi" by Bruce Fuhrer and Bill Leithead's fungi site http://www.elfram.com/fungi/fungi_home.html to ID these mushies as best I can but there is no guarantee I'm right. 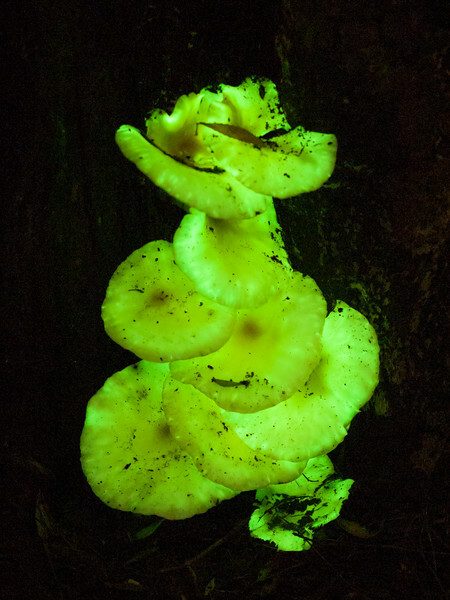 Showing luminescence at night on a dead eucalypt stump. What a fantastic looking fungus!